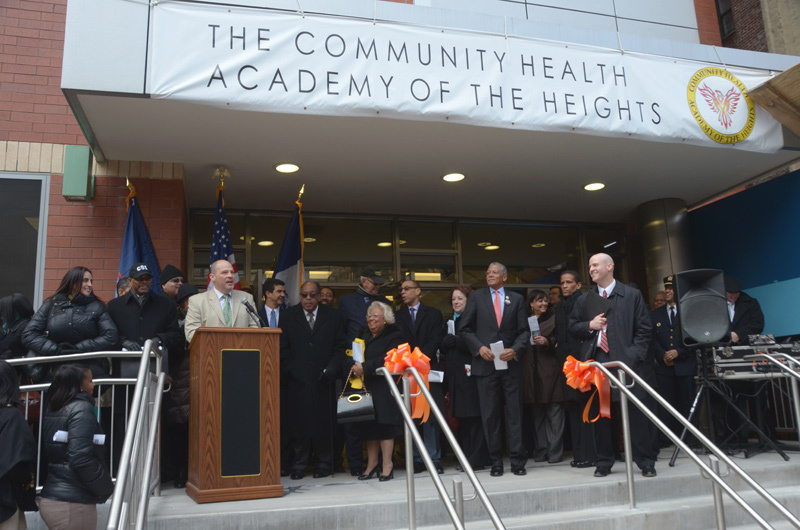 The proverb “It takes a village to raise a child” rings only half true here at Community Health Academy of the Heights. Like the proverb, we believe the health of the community is fundamentally important to the health of the individual. By forging strong relationships with local community organizations like CLOTH, New York Presbyterian Hospital, and Columbia University Medical Center, our students are offered unique opportunities to act as meaningful change agents in their neighborhood. Our teachers work collaboratively to identify student needs and prepare them for college and ensure that they are equipped to think critically about and productively serve their community. The village raises the child, to be sure. But we believe that the child should be encouraged to, in turn, raise their village.